On Monday 20th June Chairperson Richard Jones presented Cllr Rhys Lewis, Mayor of Rhondda Cynon Taff with an autographed football. This football was donated to form part of an auction that was taking place for Accessible News chosen charities for our fundraising in 2012 – 2013. The two charities are close to my heart and the heart of many of the Accessible News team, they are two charities that are less publicised so we felt it was important to raise some much needed funds. The fund raising activities started off with a family day in a local public house in Aberdare and a Christmas Choir evening with the Croeso Singers in the Glancynon Hirwaun. 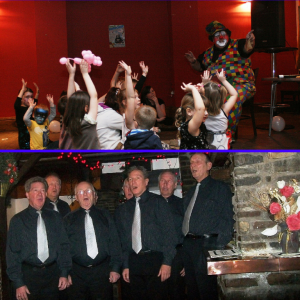 Both these events were very Christmassy and lifted everyone’s spirits putting them in the Christmas spirit. 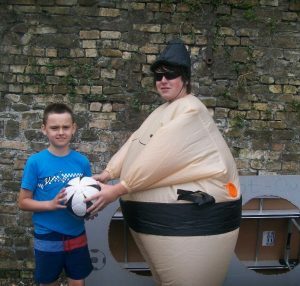 Activities continued with a fun day in the Cynon Valley Museum, a fun day which was supported by South Wales Police and our very own sumo wrestler Carwyn San! This event again was very family orientated with stalls, games and a dancing sumo wrestler, what more can you ask for? 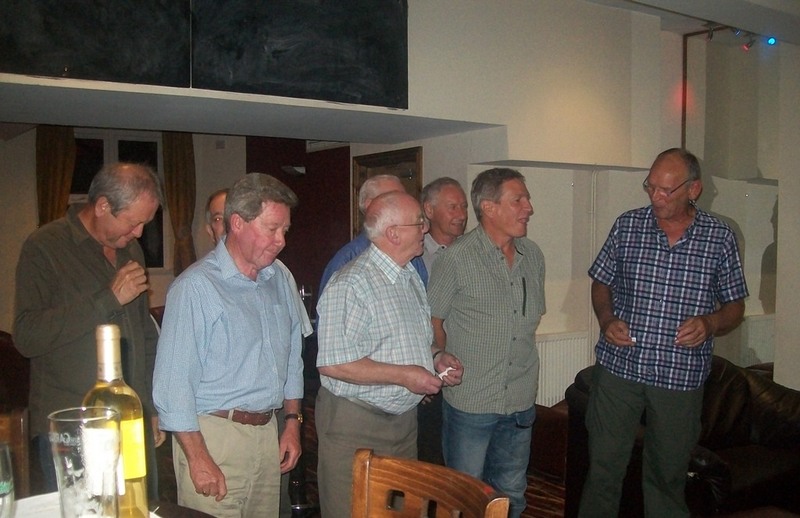 The event was hosted by Roy Noble, someone who has supported our events in the past, we were sadly unable to sell the football, and therefore did not get rid of it. This ball was signed by the their last Premier League winning team. 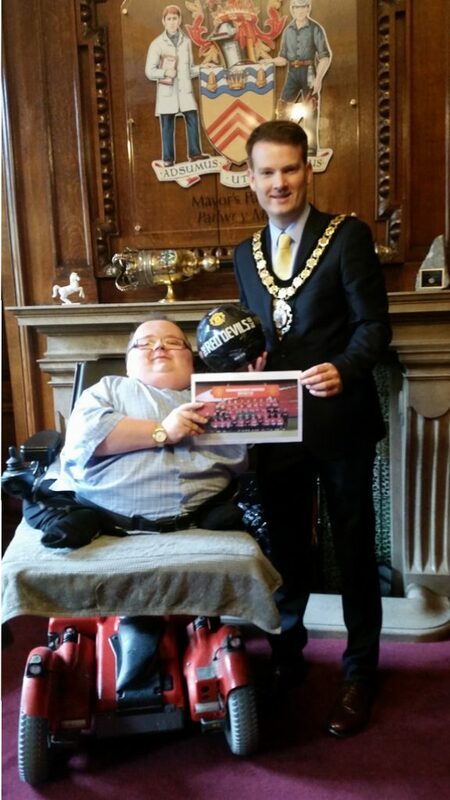 I look forward to working with him closely in the work he does in the fundraising activities he carries out as Mayor. 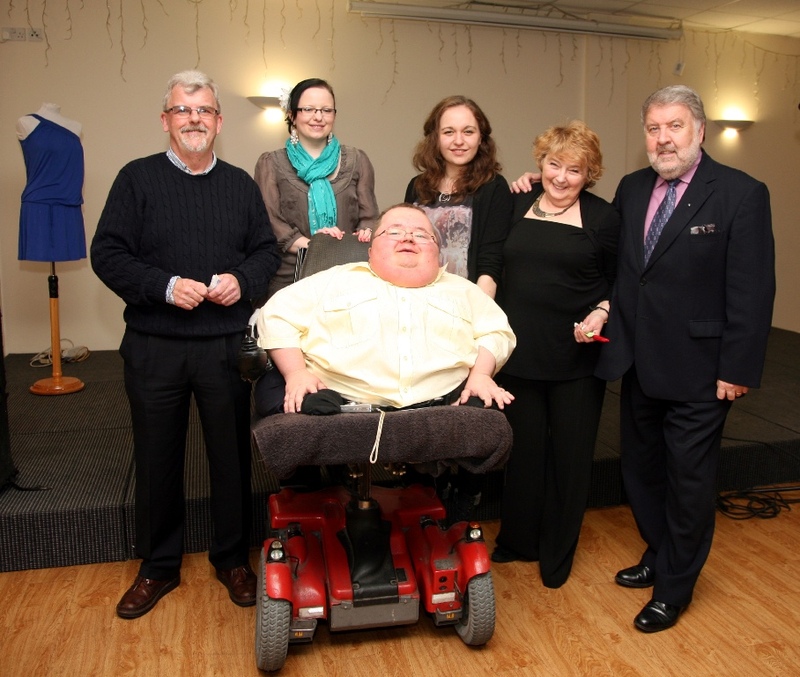 I am delighted to have received the generous offer of support from Accessible News for my Mayoral year 2016-17. Last week I welcomed Richard and Gemma from Accessible News to the Mayors Parlour to talk to about how Accessible News is doing its part to improve accessibility in town centres, businesses and public buildings for disabled people in Rhondda Cynon Taf and beyond. During our meeting, Accessible News very kindly offered to support a variety of Mayoral fundraising activities over the course of the year. 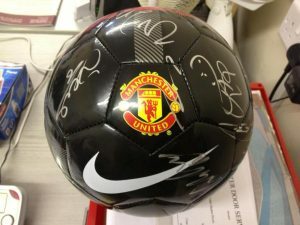 To demonstrate this, Richard from Accessible News has donated a signed Manchester United football from the clubs very successful 2012-13 squad to the Mayors charities . The ball will be raffled with all proceeds raised going to the Mayors Charity Fund. The money generated from this raffle will go towards transforming the lives of people in Rhondda Cynon Taf. I am extremely grateful for the support that I have received from Accessible News and I look forward to working with them in the months ahead. 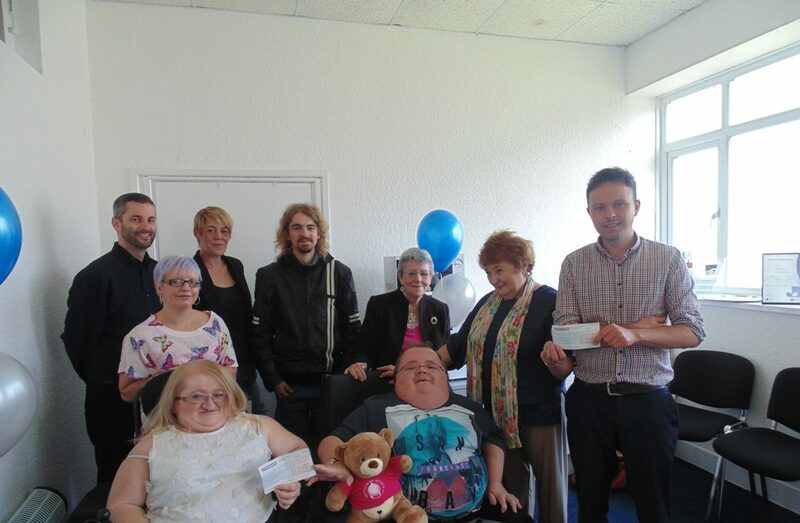 Accessible News set out at the start of fundraising to raise £500 for each charity, we were able to surpass that raising £750 for each charity. A cheque was presented to representatives from both charities. 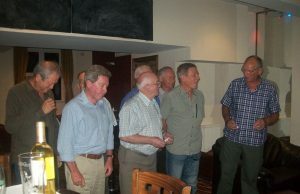 For more information on what we do, our fundraising efforts or our campaign/case work get in touch via our contact page. Please also feel free to get in touch about buying raffle tickets for the autographed football, they will be on sale shortly.